I didn't come to climbing by the normal routes. I wasn't a child who grew up with outdoorsy parents. 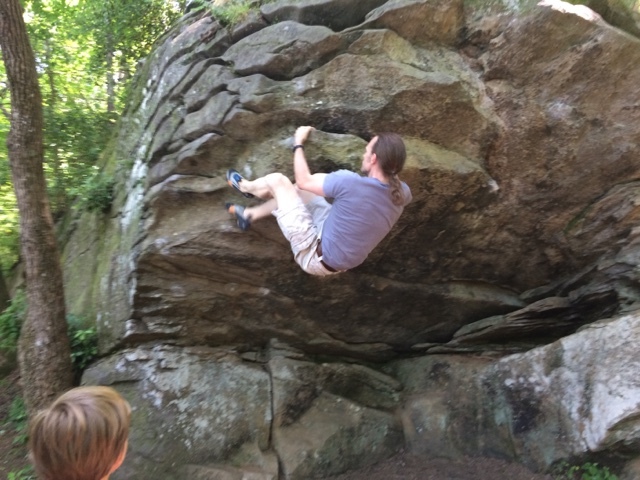 I wasn't enrolled at the local climbing gym to burn off extra energy. In fact I would go as far as to say that as a child I was the antithesis of an athlete. I went to college in Florida where the closest thing to a mountain is a sand dune between you and the beach and in total honesty I came out of college tipping the scales at a whopping 320 lbs (That's another story altogether...). The reality is my relationship with climbing didn't even start until I was in my thirties had two kids and had dropped 160 lbs. The funny thing is it was actually my youngest that got me started. At age four he was a little bundle of energy. One day at Lifetime Fitness he noticed the rock wall. Never a shy one he went running in. 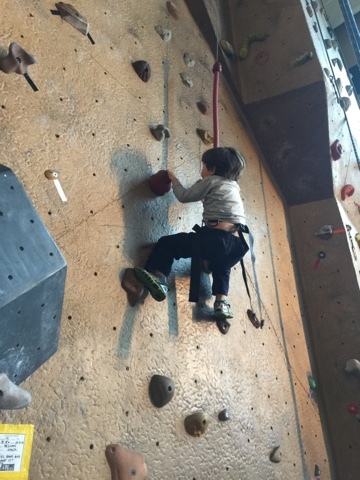 I may have been slightly misleading about his age to the staff there but he got on the wall, and of course like all kids wanted his daddy to try too. The thing is I have a small issue with that whole heights thing. I'm even worse when it comes to descending. At that point in my life, elevators bothered me. Still I gave it a shot. For the next few weeks I'd keep coming in with little man. I started doing a circuit setup there. Every day I'd get a little further. One day the director of the wall approached me and pretty much dragged me onto a rope. In that moment I decided that it was time I faced my fear of heights. 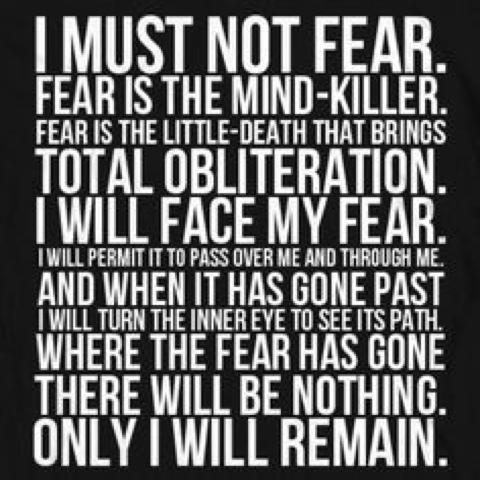 Drawing on my geek heritage I recited the mantra against fear from Dune, and up I went. I haven't stopped climbing since. Sure I probably spend more time in a gym than outside climbing (being a father and working a job that occasionally demands 100+ hour weeks pretty much killed the ability to go on week long dirtbag excursions). But that's not the important thing. The important thing is I found my passion and I'm acting on it. I make the time for it, even if that time involves waking up at 5 am after going to bed at midnight and waking up twice to deal with the kids. Am I ever going to become a legendary climber? Probably not. Am I going to love every minute up on that walk? Your damn right I am.